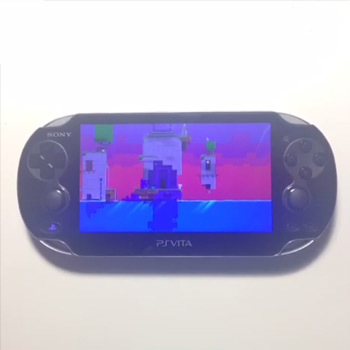 If Polytron's new video is any indication, the PlayStation Vita edition of Fez may be nearing completion. Nearly three months have passed since Phil Fish famously pulled the plug on Fez 2 and quit the videogame industry altogether. But his development company, Polytron Corporation, isn't ready to shutter the windows just yet. In August, Polytron announced that Fez would be heading to the PlayStation Network at some unspecified future date but has remained fairly quiet ever since-until yesterday, that is. Unfortunately, we still don't have a release date, but Polytron has uploaded a short video that seems to indicate that Fez is currently operational on the PlayStation Vita. Though, the video is incredibly short and nothing actually happens, so it's probably too early to celebrate. The port is being handled by Blit Software, the company that brought Sonic CD to Steam, the Xbox 360, and the PlayStation 3. Blit also ported Jet Set Radio, and is currently working on a version of Spelunky for the PlayStation 3 and PlayStation Vita. So, Fez is probably in good hands. We'll just have to be patient. Either way, Fez 2 may be forever lost in developer purgatory. This means that the PlayStation ports might be our last chance to hang out with Gomez, Fez's adorable protagonist. I guess it'll have to do. Still waiting for the 3DS one, oh wait. Fish went on a rant about the thing so chances are he'll never put it on there. Either Phil is going to do something else entirely to keep the income flowing after the Fez well dries up, or he's going to make another game. Either way, great for Vita fans. Why did you mention this guy we already managed to forget about him :P. I don't know what is Fez's legal status as far as the copyright goes but Polytron seems to have some authority over the first game so we may eventually see a 3DS version. The article seems a little out of date. I downloaded Spelunky on the Vita a few weeks ago? I'm sure I did? The article is about the game "Fez," not Spelunky. OT: This is cool, I prefer to play indie games like these on a handheld. "The port is being handled by Blit Software, the company that brought Sonic CD to Steam, the Xbox 360, and the PlayStation 3. Blit also ported Jet Set Radio, and is currently working on a version of Spelunky for the PlayStation 3 and PlayStation Vita." Currently working on (Spelunky) implies the game is yet to be released. Is it a typo, an old article or is there a grammar issue that escapes me? Oh you're right, huh, I missed that. My bad! But yea Spelunky already came out on Vita.